If Washington’s governor gets his legislative holiday wish, the Evergreen State in 18 months will launch one of the world’s most sophisticated and all-encompassing climate-pollution pricing programs. Draft legislation released last week by the office of Gov. Jay Inslee (D) would — if sufficient support can be mustered from state lawmakers — raise an estimated $1 billion a year through a new levee on greenhouse gas pollution. The program would cap statewide pollution rates at levels that decline over time, with polluters allowed to trade state-sold pollution allowances among themselves. It would affect as great a share of carbon as any similar program operating in the U.S., while avoiding pitfalls of other programs, such as giveaways for certain polluters. 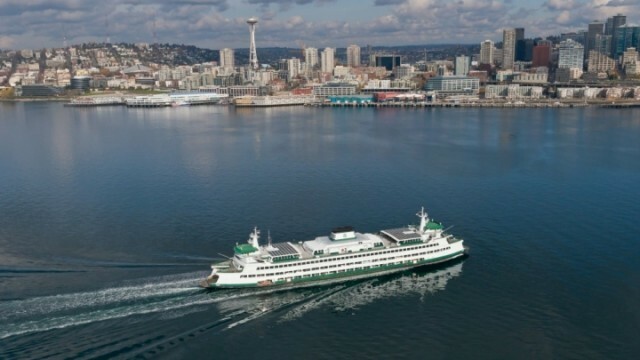 The program was crafted to help Washington get on track toward meeting its goals, established by the legislature in 2008, of producing no more greenhouse gases in 2020 than had been the case in 1990, with a further 50 percent reduction by 2050. Windfall revenue under the cap-and-trade proposal would ease entrenched shortfalls in transportation and education spending, reduce taxes and fund household energy efficiency improvements for poorer residents, and help meet the general costs of running the state. The program would become the latest in a growing list of worldwide schemes that charge for the act of polluting the climate — with the dual goals of slowing climate change and, in many cases, providing funds to help tackle the problem. With Congress unwilling to take action on global warming, efforts such as Washington’s are independently burbling up from American states and regions. Fusing together and promoting these "bottom up” approaches to climate action will be a heavy focus of the next international climate treaty, due a year from now, following the failures of the Kyoto Protocol and other attempts to dictate climate policy to nations. The business body representing many of the 130 companies that would directly pay the new $1 billion a year pollution tax, the costs of which would presumably be spread among customers — including, ultimately, households and motorists — is less enthusiastic. It worries about the economic impacts of the new fees. Houskeeper said the association agrees that climate change is a problem that needs to be addressed. But he pointed to gradually declining greenhouse gas pollution rates in Washington in recent years as evidence that industry can improve its environmental performance without new regulations as it switches to more efficient energy technology. A state analysis, however, concluded that Washington is not on target to comply with the 2008 law regarding required reductions in greenhouse gas pollution. It found that the requirement of reducing yearly pollution levels back to 1990 levels in 2020 would "likely" be met if a new cap and trade policy is implemented. Further steps would be needed to meet more ambitious reductions required by 2035 and 2050. Like other Washington experts interviewed, Houskeeper said he doesn’t know whether lawmakers will approve Inslee’s bill. A similar state bill failed in 2008. He acknowledged that a “unique budget problem in Washington” could help win lawmaker support for it. “We anticipate there will be a heavy push by the governor,” he said. The program would cover an estimated 85 percent of the climate pollution produced by Washington — the same proportion that California’s program will cover in the new year after it expands to include transportation fuels. The Regional Greenhouse Gas Initiative, a joint project of nine northeastern and Mid-Atlantic states plus regions of Canada, by contrast, affects electricity generation only, covering 22 percent of climate pollution. The European Union’s trading scheme affects the electricity and manufacturing sectors, plus flights within Europe, covering 45 percent of the union’s 28 countries’ carbon pollution. Inslee’s proposed program would affect pollution produced by factories, trucks and cars and power plants, including those that produce electricity in other states and import it across state lines. The program would lack the allowance giveaways for select polluters that reduce the potency of other programs, such as in Europe, where Poland’s coal plants could get free passes for decades to come. It could permit some allowances to be traded through other carbon markets operating in the U.S. and elsewhere — creating economic linkages that economists say can drive down the overall cost of climate action. Despite widespread opposition among members of Congress, carbon pricing and trading is being embraced by governments and industry worldwide — even by Royal Dutch Shell — as an approach that can simultaneously curb greenhouse gas pollution while raising money needed to combat climate change. Many see it as logical to charge for pollution, instead of expecting society to bear its costs. 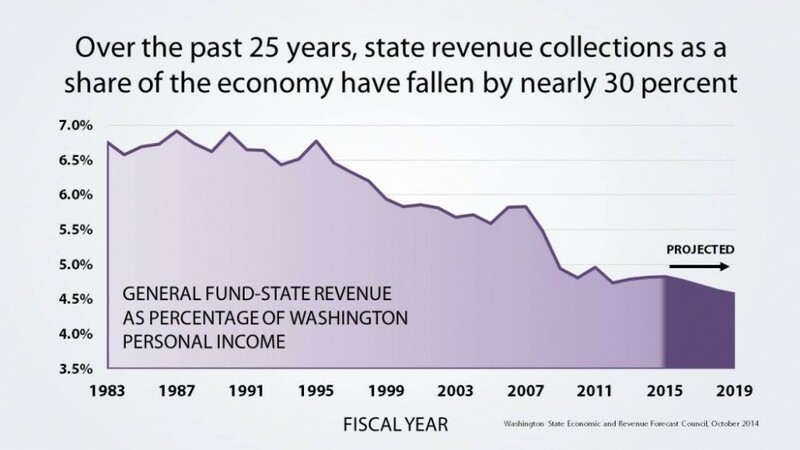 In some cases, such as in Inslee’s proposal, such programs can help finance government spending following declines in revenue from other fees and taxes. Kristin Eberhard, a researcher at the Sightline Institute, a think tank focused on sustainability issues in the Pacific Northwest, recently counted 39 carbon pricing programs in place across the world, from the flagship trading scheme operated by the European Union to a 2-year-old program in Kazakhstan. The state senate is controlled by Republicans, and the Republican chair of the senate’s energy and environment committee, Doug Ericksen, also said it was too early to say what would happen to the bill if it reaches his chamber next year. Ultimately, the battle over the legislation could be fought largely on non-environmental grounds. Washington’s legislature is being held in contempt of court by the state’s Supreme Court for failing to provide sufficient funds for public education. Sanctions have been threatened if the problem remains unfixed by the end of 2015, and Inslee has proposed that the carbon allowance fees would be used to provide hundreds of millions of dollars for education. That’s something that Chris Davis, a carbon markets advisor to Inslee, said “shifts the balance politically” in the cap-and-trade proposal’s favor.